This camp is designed for all u8 through u12 players and will focus primarily on fundamental technical skills and then how to apply them to game situations. There will be lots of different activities with a focus on quality repetitions to improve overall comfort on the ball. Sessions will fast-moving and intensity will be high. 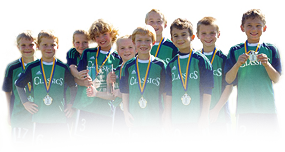 Consider this a crash course in technical training for our younger players!